Google Shopping Ads trending in 2018 - Is your business trending? Why are Google Shopping Ads trending in 2018? 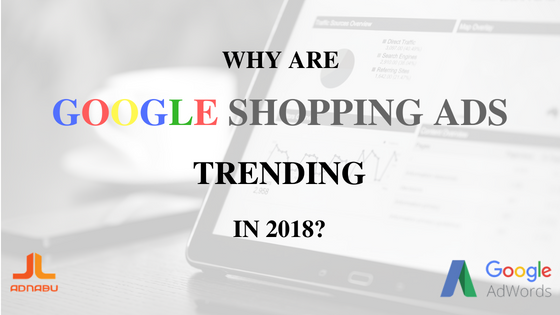 Five months into 2018 and we see Google Shopping Ads trending and are the favorite of business owners. Google Ads users in UK and USA are shifting up to 80% of their search campaigns budgets on shopping campaigns; which is only fair as 2018-Q1 reports suggest that shopping campaigns are generating about 85% of clicks. Google is “the” marketplace. Is your business trending in 2018? If not, why? Why are Google Shopping Ads trending? Google shopping ads are click-magnets. But why? They appear on top of the search engine results page, and they are information-rich and aesthetic. Shopping ads are eating up the share of simple text ads. And not just on desktops, shopping ads are performing well on mobile devices too. Even creating shopping campaigns is easier when compared to search campaigns. For one, you can upload your complete product catalogue to Merchant Center. Google creates the product ads and matches them to relevant user search queries. Please keep in mind that users see your ads only if you bid enough to secure an ad spot. Why? Because your business competitors with similar products would be in the bidding race too. As for the performance, data suggests that shopping ads performance better than search ads in 2018. There are various reasons why this is so. Google shopping ads constitute a product image, title, price, store name, offers, tags, etc. Shopping ads give users all the details at a glance. Users who click on shopping ads are the ones whose intent is clear. They want to buy, and they like what they saw, i.e. your product. 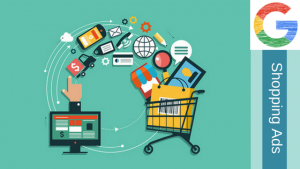 Moreover, users land your product page after they click on shopping ads. Such landing pages capture the visitors. You can also cross-sell or up-sell. Hence, Google shopping ads convert better. You can use this opportunity to get your business trending in 2018. Looking back at the recent changes (pre-2018) introduced to Shopping Ads, two of them stand out prominently. Carousel shopping ads and shopping ads for generic search terms. Carousel shopping ads by Google are similar to the ones on Facebook. However, Google’s carousel ads don’t necessarily show products of the same business advertiser. Carousel shopping ads respond to user search query. Google shows a set of product ads that are relevant to what user is searching for. If you have taken notice, shopping ads were a common sight for long-tail search terms back in 2016. But now, we see shopping ads for even generic search terms. Capturing these high volume search terms has worked very well for Google. These changes benefited both shoppers and business advertisers as well. They contribute a lot towards Google shopping ads trending in 2018. No doubt, the word is out about Google shopping ads trending in 2018. Top industry leaders speculate that this upward trend of successful shopping campaigns is going to flatten very soon. Like we have seen in search campaigns go from profitable to painful in the past, shopping campaigns are going to get more competitive too. As a result, the cost-per-conversion would shoot up, and ROI will fall. While there is still time for retailers to establish their brands, adapting to this fast-changing trend could be quite a challenge. But, the market is still very young. Hence, you can make your presence felt and get your business trending in 2018. You can do this by following the best practices and a data-driven approach. In addition, even though voice-based shopping powered by Google Home and Amazon Alexa is still under development, it is no harm to believe that voice-based commerce is the future of shopping. Google Shopping Ads are now on Google Display Network too! Google Ads updates and best practices of running campaigns. Content marketer by day, a poet by night. How to Edit Product Groups in AdWords?